Home Your Family Where do Georgia’s candidates for Governor stand on health care issues? This November, Georgians will elect a new governor. 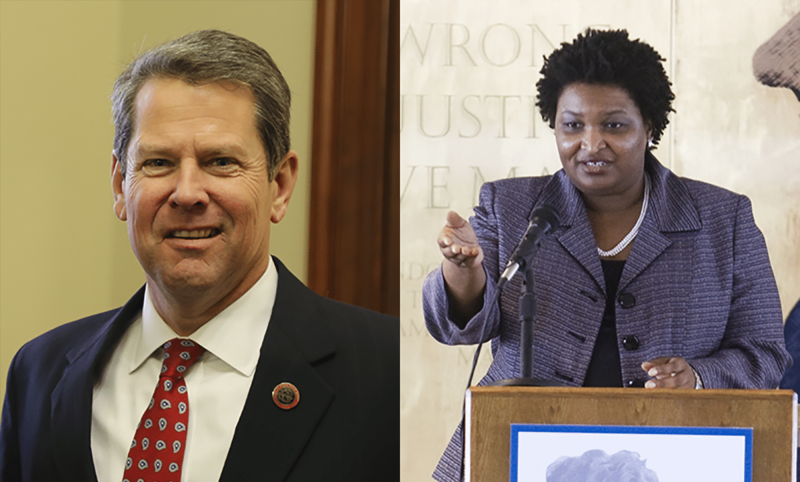 The race between Secretary of State Brian Kemp, a Republican, and Stacey Abrams, a Democrat and former House minority leader, has already featured debate between them over the future of health care in the state. 1. Medicaid expansion has been discussed, but not adopted, in Georgia ever since the Affordable Care Act was passed. What’s your position on Georgia expanding its Medicaid program? ABRAMS: Expanding Medicaid is one of my top priorities. 33 states, led by governors across the political spectrum, have taken the only justifiable approach to health care and expanded Medicaid already. But not Georgia. Our Republican state leaders refuse to act, needlessly turning down federal dollars while Georgia sends money to Washington. Refusing to expand Medicaid is an irresponsible act that denies coverage for hundreds of thousands of vulnerable Georgians who need health coverage, damaging our health infrastructure and our rural health system to its core. I led the fight to expand Medicaid in the Legislature and will make it my top focus as governor. Medicaid expansion will draw $3 billion annually ($8 million per day) into our state to pay for doctors, nurses, and hospitals. It will create 56,000 jobs — 60% of which will be outside of metro Atlanta. It will help local economies, reduce uncompensated care that drives up costs for all Georgians, benefit employers with healthier workers, and save rural hospitals from closure. And that only scratches the surface of the benefits of Medicaid expansion. We must act. KEMP: Medicaid costs too much and fails to deliver for hardworking Georgians. Taking money away from public safety and education to expand up a failed government program will only make things worse. Stacey Abrams sees Medicaid expansion as a step towards a single-payer health care system that puts bureaucrats — not doctors — in charge of the patient’s medical decisions. Her radical plan will literally bankrupt our state while making it harder for hard-working Georgians to receive the care they need. 2. The ACA has provided health insurance through the exchange for people who do not get job-based or government coverage. Do you think this effort has been a success? KEMP: Insurance premiums are unaffordable, current access to quality care is unacceptable, and hard-working Georgians deserve better. ABRAMS: The ACA has been vital to helping many Georgians obtain necessary health coverage. When I saw that our state was not funding sufficient outreach for the ACA during the open enrollment period, I led the members of the Georgia House Democratic Caucus to host our own open enrollment sessions, teaching constituents how to enroll. I traveled myself to personally conduct such outreach in Republican-held districts, and the nonprofit organization I founded, the New Georgia Project, hired canvassers in rural South Georgia to do the same. That being said, part of the ACA’s vision for universal health coverage was to expand Medicaid. Many Georgians find themselves in a coverage gap: they have too much money for Medicaid and ACA subsidies, but not enough money for the premiums charged on the ACA exchanges. The less money you have within this coverage gap, the harder off you have it. That’s why we must, first and foremost, expand Medicaid to narrow the coverage gap and allow more Georgians to obtain necessary health coverage. Once we take that necessary step, I will explore more options to close the gap and achieve universal coverage in Georgia, including the creation of a Georgia Premium Stability Program to stop premium spikes for small businesses and individuals. Do you support Georgia Attorney General Carr joining 19 other states in seeking to declare the ACA, also known as Obamacare, unconstitutional? ABRAMS: The ACA is absolutely constitutional, as affirmed many years ago by the Supreme Court of the United States. I firmly stand against any action seeking to declare the ACA unconstitutional. KEMP: Obamacare is unconstitutional, but worse, it has been a complete failure. I fully support AG Carr’s efforts and know that the real solutions to these pressing issues are found in our state capitals, not in Washington, D.C.
3. Rural health care has many challenges in Georgia, with hospitals closing and doctors hard to recruit. What would be your strategy to help support rural medical care in the state? KEMP: I have a comprehensive plan to strengthen rural Georgia. It starts with expanding access to High Speed Internet to grow jobs, economic opportunity, and tele-medicine. By lifting the cap on Georgia’s Rural Hospital Tax Credit, we can empower communities — not government — to invest in local hospitals. Finally, we need to grow incentives for rural physicians [and] expand Graduate Medical Education slots to ensure that every county has access to a physician and support staff. ABRAMS: We must better support our rural health system in Georgia. 68% of rural Georgians report that they struggle with the cost of health care, and six rural hospitals have closed since 2013, crippling local economies. I return to expanding Medicaid as the most helpful action we can take to support rural health care. Medicaid expansion would expand health care access for rural Georgians, keep vulnerable rural hospitals open, and create many high-paying jobs in rural regions of our state. I will also leverage state and federal programs to incentivize more doctors and medical personnel to locate in underserved areas and provide critical services like maternal and mental health. Georgia has one of the highest maternal mortality rates in the nation, and half of our counties do not have an OB-GYN provider. Our rural communities also need access to critical mental health services. Too often, our state has funneled Georgians with mental health care needs into our criminal justice system, a practice that is harmful and counterproductive. Expanding broadband Internet access in rural areas is also a health care priority, as it opens the door for telehealth services so rural Georgians can receive effective medical counsel remotely. Cost-effective, high-speed broadband in rural Georgia will help close the regional gap in health care coverage. And where telehealth cannot get the job done, we must enable access to transit or paratransit for Georgians who struggle to make appointments due to physical constraints. As governor, I will leave no stone unturned to ensure that our rural health systems can thrive. 4. What tactics would you support to attract more physicians and other medical professionals to practice in the state? ABRAMS: Wherever Georgia has a need for medical professionals, I will leverage my public experience as a legislator and my private experience in tax and health care finance to make sure that need is met. As governor, I will incentivize quality health care professionals to practice in rural communities via service cancellable loans. The $8 million dollars a day we would gain through expanding Medicaid will also help create high-paying jobs that attract physicians and other medical professionals. As we tackle coverage gaps and work to expand access to health care for Georgians who need help, we will attract medical professionals who want the opportunity to do meaningful work in our state and ensure that those opportunities are funded. KEMP: By expanding High Speed Internet and bringing projects of regional significance to rural Georgia, we can revive communities and begin to create a tax base that supports local businesses, organizations, and schools. This alone will make underserved counties more attractive to young medical professionals. We must also expand incentives and loan forgiveness programs for rural physicians, including debt-free medical school. 5. Would you support the state starting a program to grow medical cannabis in Georgia for those people with medical conditions who qualify to possess it? KEMP: I support the current medical cannabis program and research-based expansion. ABRAMS: I support policies that encourage the in-state cultivation of medical cannabis for Georgians with qualifying medical conditions. Where Georgians have medical needs, I support those needs being met within the borders of our state. 6. Certificate of need is a controversial regulatory process governing hospitals and other medical facilities in Georgia. Is CON in need of reform? ABRAMS: Given the structure of health care finance in Georgia, I support the existence of a certificate of need process. As with all regulatory structures, Georgia must continue to review and update CON standards to accommodate the changing dimensions of our medical population; however, I do not support the outright elimination of CON. KEMP: The House is reviewing CON laws in Georgia. I look forward to reading their recommendations. NOTE TO READERS: GHN edits candidate material only for routine uniformity of style (punctuation, etc. ), not for content.